STAND back for three fantastic decades of music when the hit show That’ll Be The Day rolls into the Palace Theatre in Redditch on September 20. 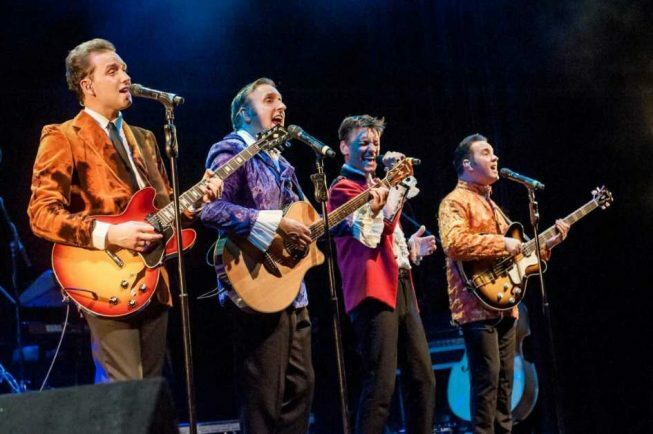 Having delighted audiences across the country for 30 years or more prepare yourself for all the classic songs from the Fifties, Sixties and Seventies plus more hilarious comedy. Now it’s on stage more than 200 times a year, playing to capacity audiences across the UK. Trevor Payne (who first created the show back in 1986) still directs, produces and stars in the production today. Not only that but he rewrites all the material for the show each year, and spends more than six months in planning and preparation. The show comes complete with stunning costumes and incredible live music performances as it celebrates the golden age of popular music. Tickets, priced at £25 are available now in person or at the box office on 01527 65203 or buy online at www.redditchpalacetheatre.co.uk with curtain up scheduled for 7.30pm.